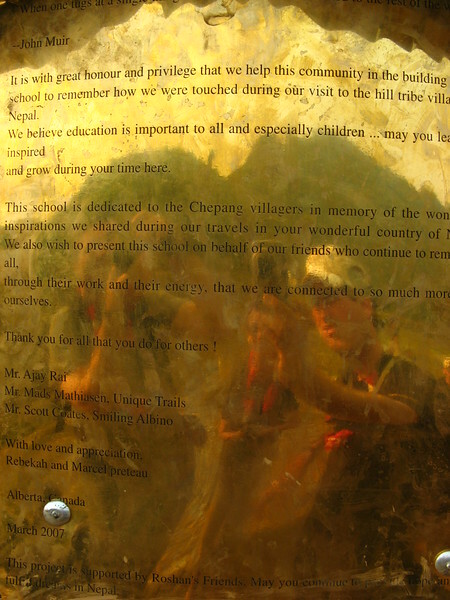 Since 2006, Smiling Albino guests have donated funds to help build schools in remote mountain villages. Thanks to everyone who has donated to this great cause! 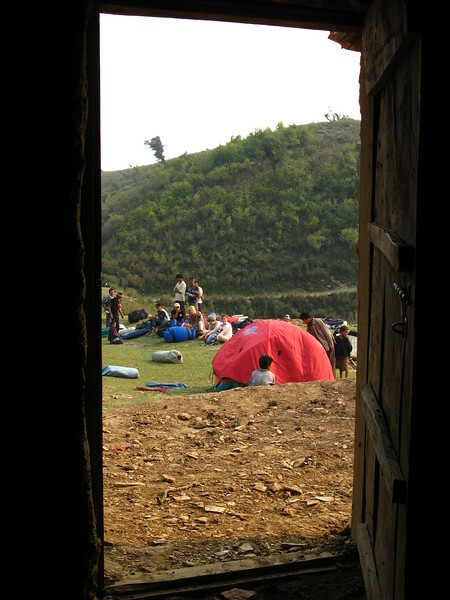 Teaching outdoors at Rangchurang prior to the school being built. 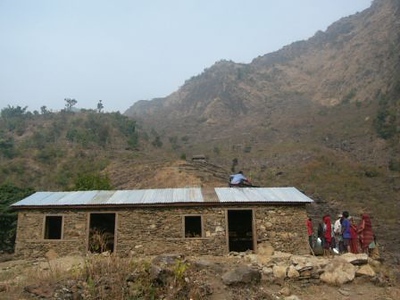 The teacher in Rangchurang taught outside prior to the school being built. 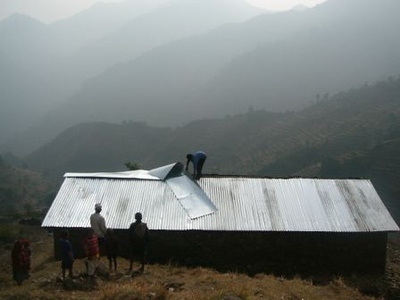 Putting the roof on the Rangchurang school. 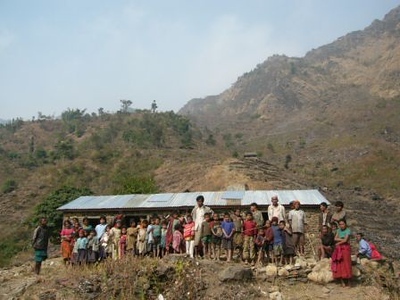 Final school at Rangchurang built with funds donated by the van Krieken of California. Posing in front of the new school at Rangchurang built with funds donated by the van Krieken of California. Completed in 2008. 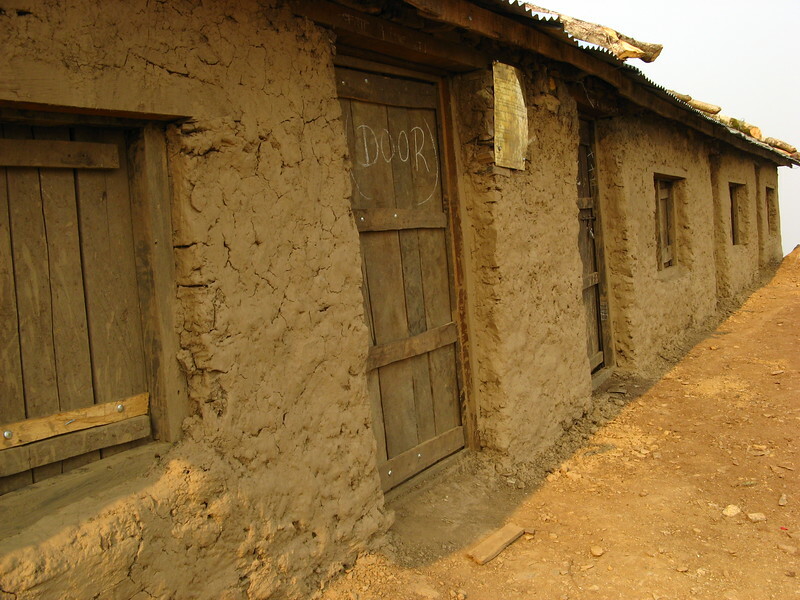 The first school built at Jyandala with funds donated by Marcel and Rebekah of Calgary, AB. Looking out from the first school built at Jyandala with funds donated by Marcel and Rebekah of Calgary, AB. 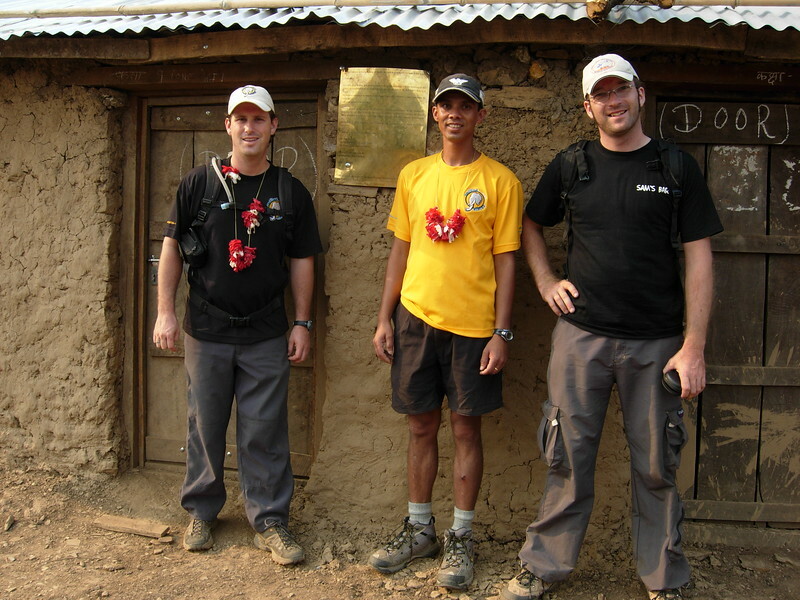 Scott, Roshan & Mads, stand in front of the school at Jyandala shortly after its completion in 2007. A plaque put on the school at Jyandala. 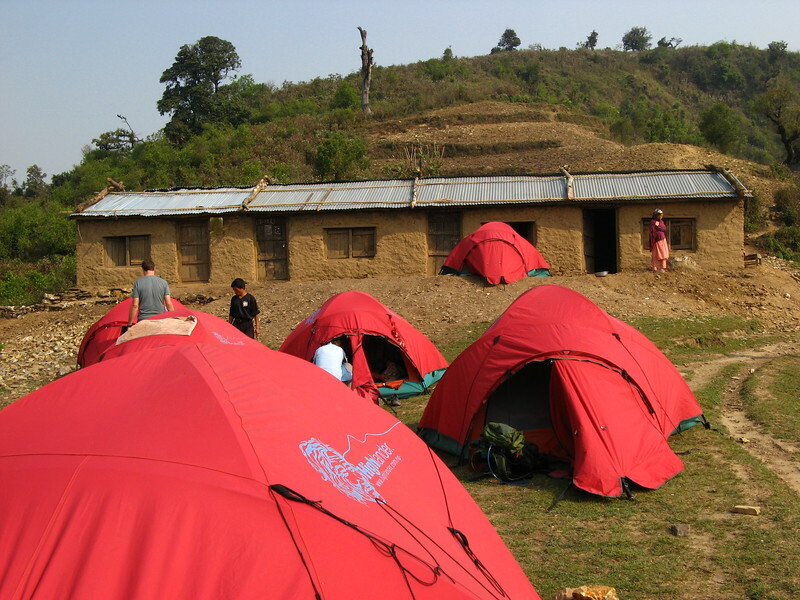 The school at Jyandala with our tents in front of it.